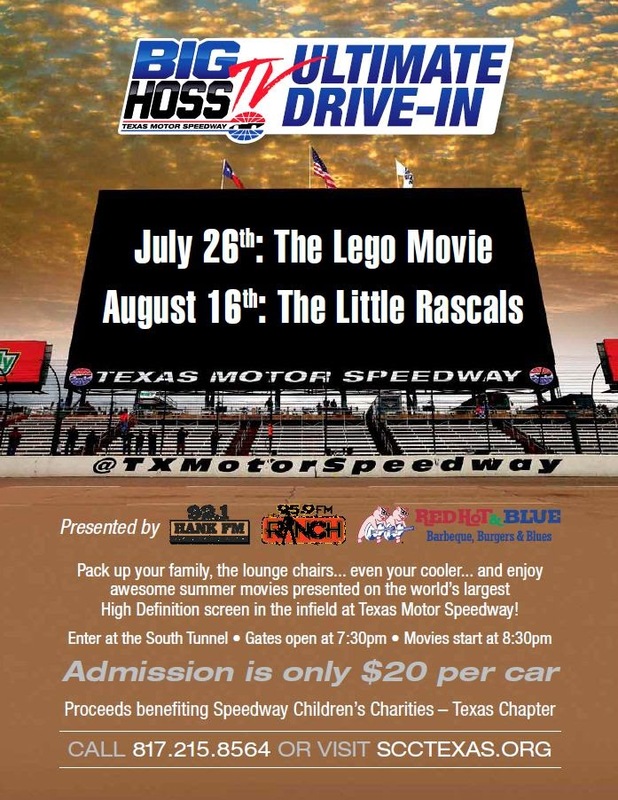 Mark Your Calendar ~ Texas Motor Speedway Ultimate Drive In Movie Featuring the Little Rascals (8/16/14)! Treat you family to a unique night out at Texas Motor Speedway for a Drive-In movie on August 16th. The Little Rascals will be featured on the world’s largest High Definition screen at the Texas Motor Speedway infield. Pack a cooler and bring along chairs for the family for this fun filled event. Admission is only $20 per car and benefits the Speedway Children’s Charities. Gates open at 7:30pm and movie begins at 8:30pm. Visit Texas Motor Speedway for directions and detailed information. Previous post7-Eleven Birthday Freebies (7/12-7/19) ~ Big Gulp, M&M’s , Cookies & More! Next post#NDFW ~ Edible Arrangements 50% Off thru 9/20/14!